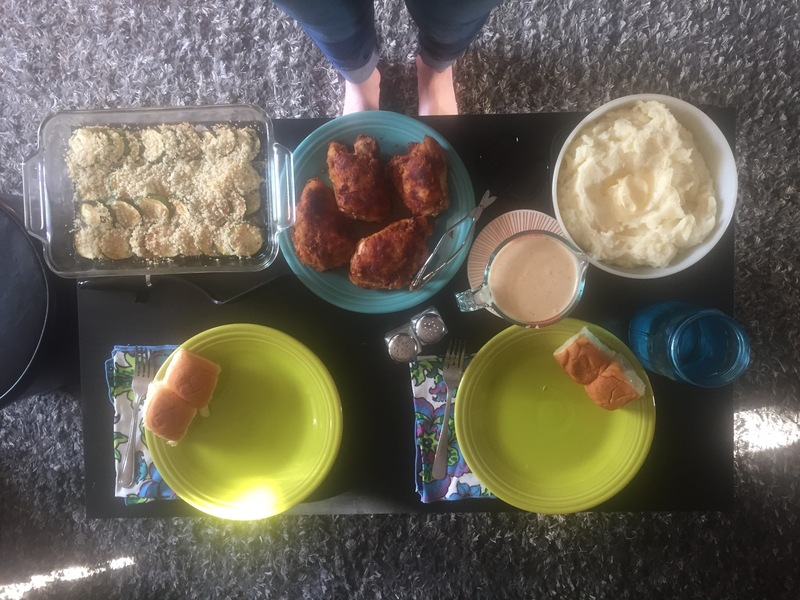 We were planning our Sabbath dinner and wanted a good veggie we could have for leftovers for the rest of the weekend. I wanted something green, to round out the colors that would be on the dinner plate (ha!) and AJ wanted something tasty. This is how we each think. Hehe. 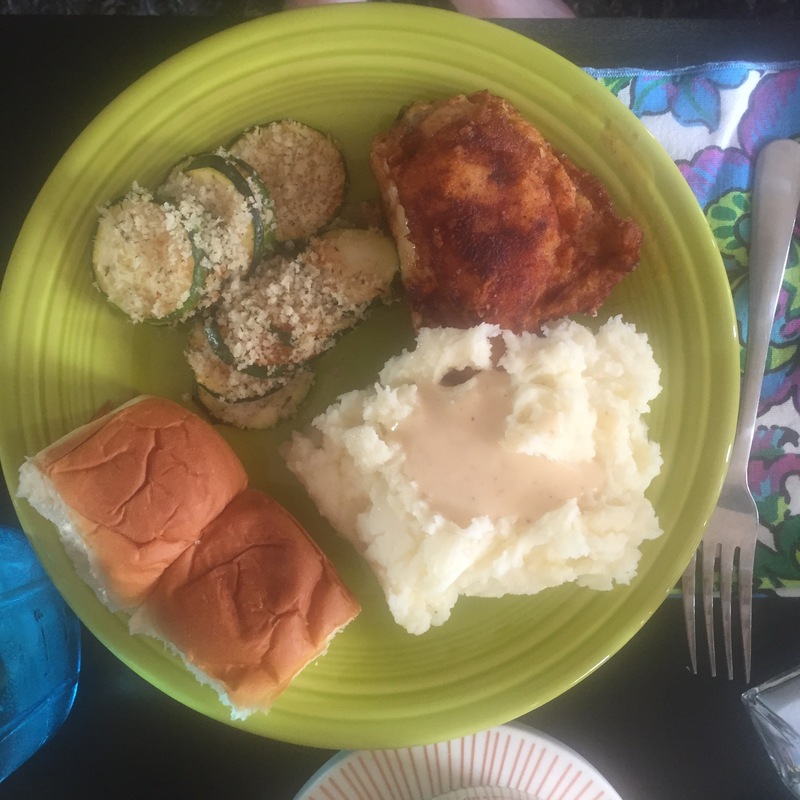 We landed on zucchini and since we had some breadcrumbs in the cabinets, this is the version we went with. The result? A colorful and tasty dinner plate! We didn’t use the Parmesan that was called for (none in the fridge!) 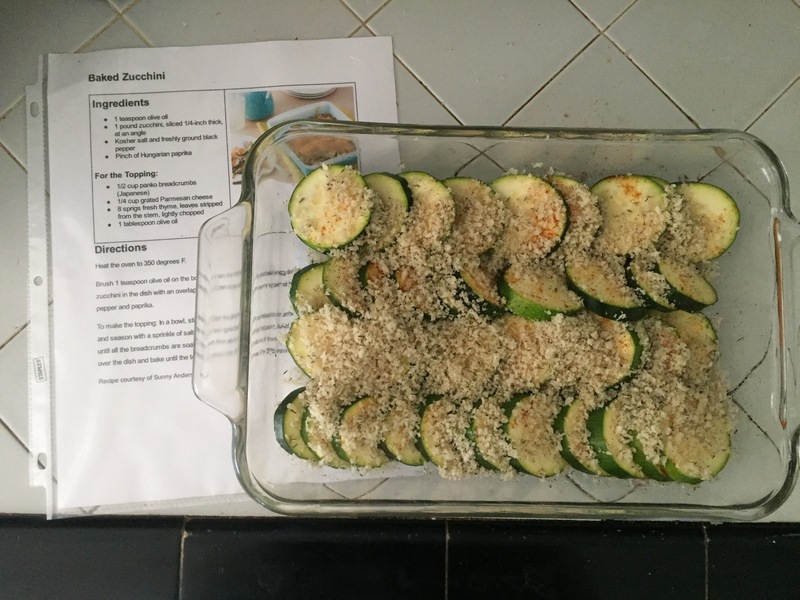 and next time I think we will batter the zucchini in the bread crumbs instead of just sprinkle on top. But tasty for sure! And, plenty to last the weekend for snacking. Hooray!